They have been by each other’s side through every major aspect of each other’s lives. 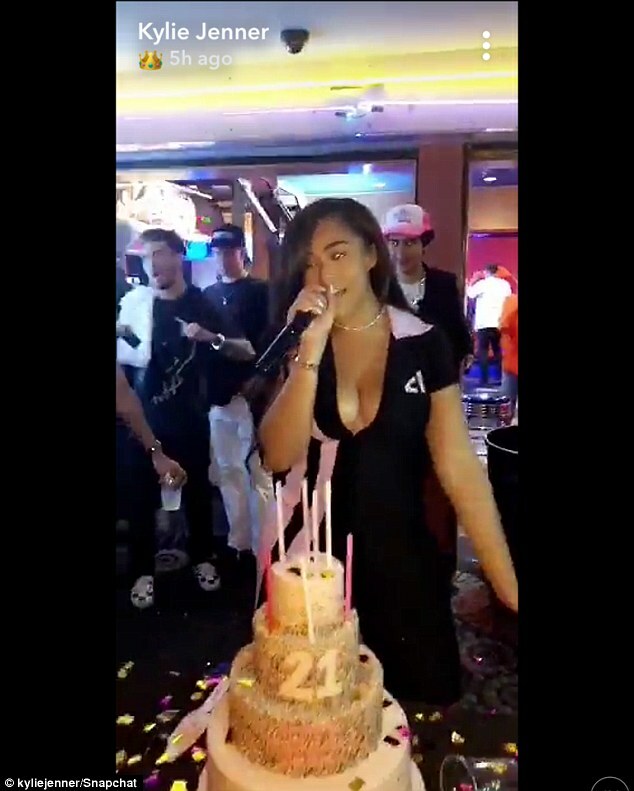 So it only made sense that Kylie Jenner, 21, and Jordyn Woods, 20, took their friendship to the next level, and joined together for business. The Insta-famous duo held a celebration for the launch of their joint make-up collection, which went live on Friday. The girls, who often choose the provocative route with their wardrobe, modeled matching latex mini dresses. Kylie paired her cotton-candy pink look with a pair of rose gold, rhinestone shoes and stud earrings. 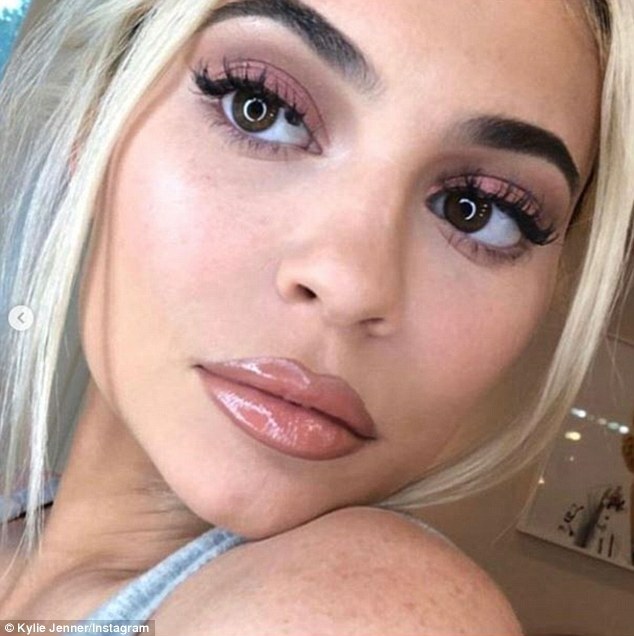 Meanwhile, Jordyn chose a caramel-colored dress with a pair of strappy pumps and hoop earrings. The 21-year-old shared behind the scenes moments from the spectacular luncheon, and even found a moment to pose alongside her 7-month-old daughter Stormi Webster. 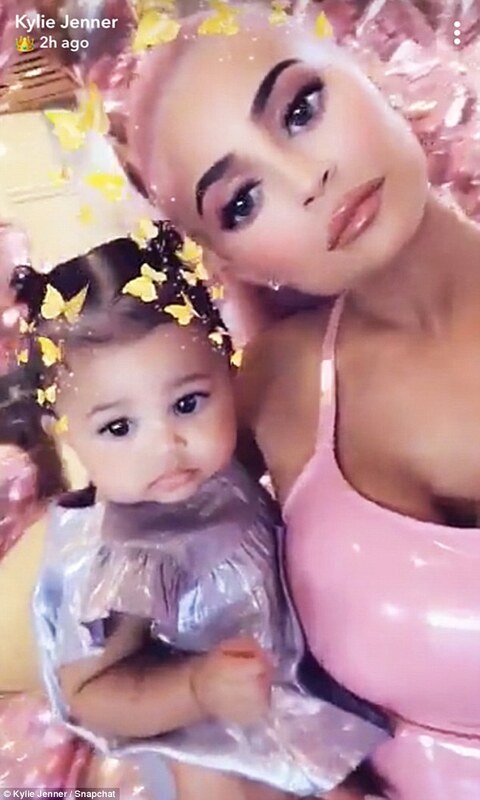 Baby Stormi was also seen by her mom’s side in a metallic lilac ensemble. The daughter of Travis Scott’s look was completed with tiny matching Adidas sneakers. Kylie’s sisters Khloe and Kourtney Kardashian and mom Kris Jenner also attended. Keeping with her latest love for pink, Khloe was dressed in cropped top and matching mini skirt that showcased her incredible post-baby body physique. She completed her look with a matching fanny pack and had her blonde tresses out into loose waves. 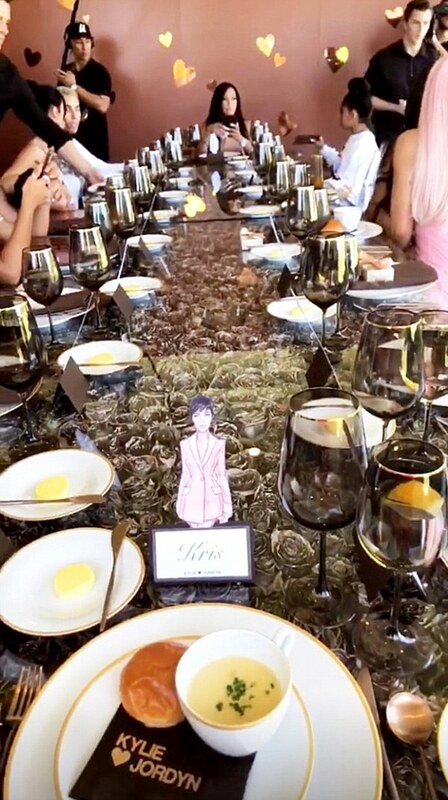 The youngest Kardashian sister also took a moment during the luncheon to give Kylie a toast. 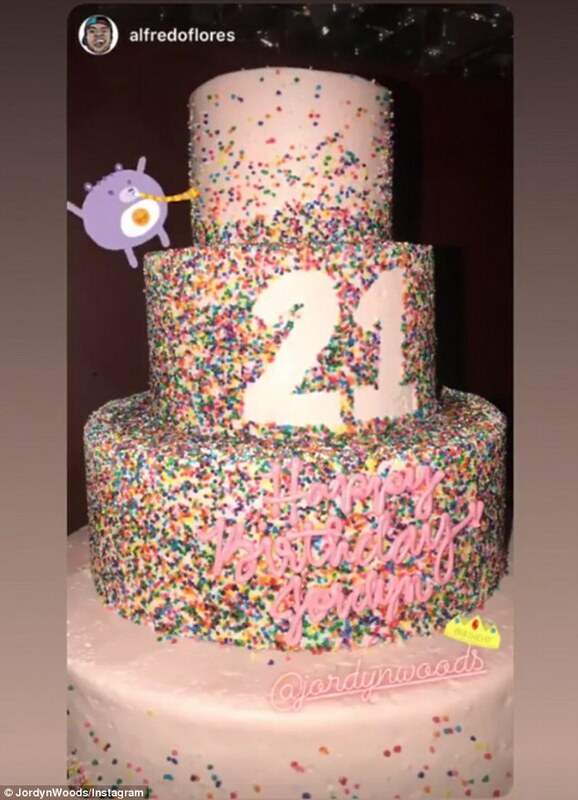 Makeup artist Hrush Achemyan captured a little bit of the speech on her Instagram Stories in which Khloe thanked her sister for being ‘so generous’ and collaborating with her family and friends. 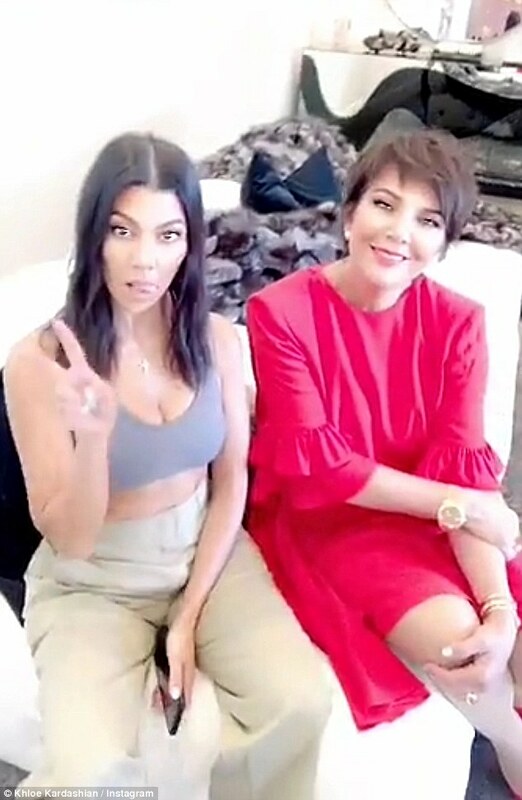 ‘You’re so generous to share that with me and Kourtney and Jordyn,’ she gushed. ‘It’s such a blessing cause you don’t have to share your blessings with us, but, you kinda do,’ she joked. 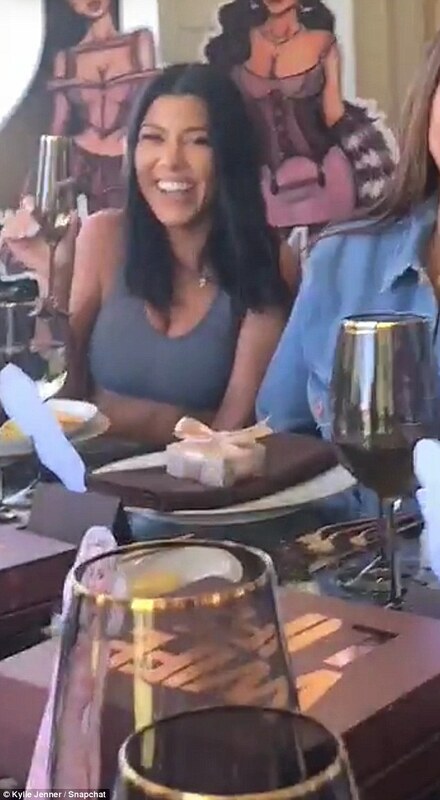 Meanwhile, Kourtney, who was dressed in a grey sports bra and high waisted pants, also gave a toast to her youngest sibling and her best friend. ‘I know ho hard you’ve been working. I’m so proud of you both,’ she said. Next articleImo Governorship: Why Sam Daddy?